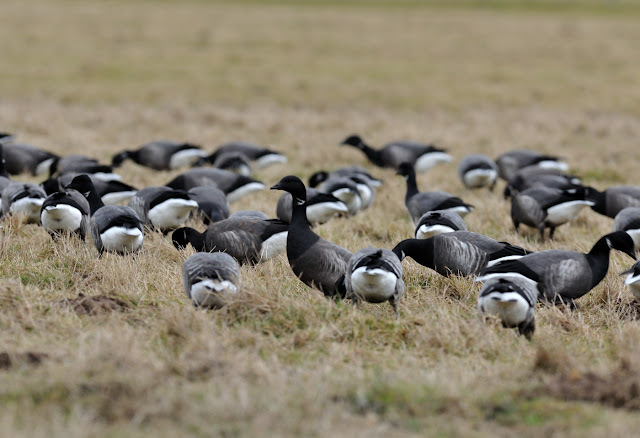 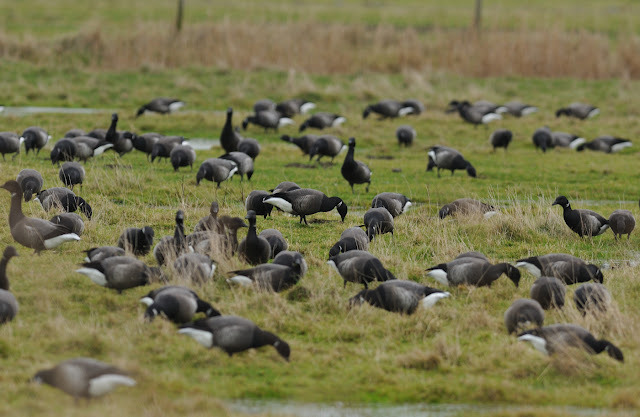 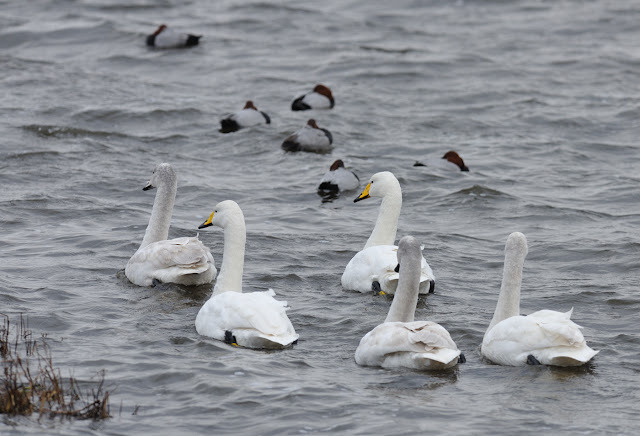 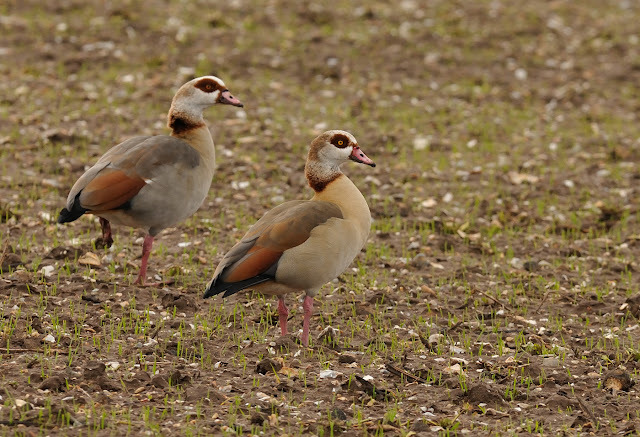 These images of various wildfowl were taken last week on a short trip to Norfolk. 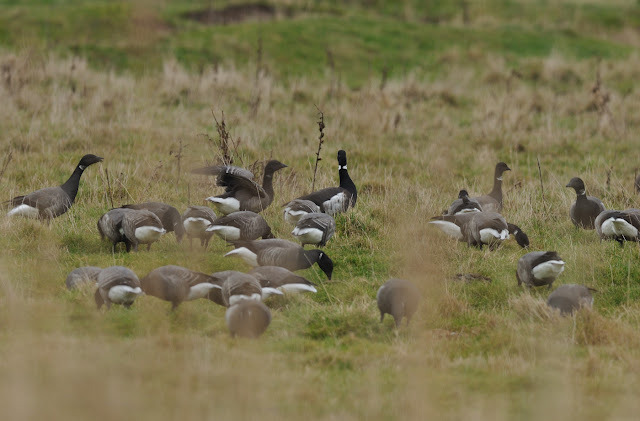 Black Brant at Cley, centre rear bird. The white flanks and large white collar of this adult showed well. Family party of Whooper Swans at Welney WWT.